Nicky was a superb host; meticulously prepared, yet relaxed and fun on the night. It was so refreshing for us to find someone who understands whisky. James Cameron, Chair, Spirit of Speyside Whisky Festival. You were a wonderful interviewer and put me at my ease. The two hours flew by and the feedback has been tremendous. Nicky, you exceeded our expectations. There was no way the audience weren’t going to enjoy themselves with you as host. Highland Heroes. Where does the goodness come from? With Thelma Henderson and David Bourn of SPP Media Group before the excitement started. I am privileged to host all sorts of events. At each one I learn things I didn’t know, meet extraordinary people who achieve incredible things, and have the pleasure of being the person on stage when awards are handed out. In the past few weeks these events have included a Leadership Conference for Dounreay and the start of the River Ness 10K, plus a charity kart-racing challenge, and a celebration of Highland and Island architecture. Still to come this month are a national conference on The Place Principle, the Highland Food & Drink Festival and the Highland Construction and Property Dinner. It’s a busy time of year. But if the others will forgive me, the night that will stay with me most of all; the one that humbles me and that gives me the greatest personal pleasure, was Thursday’s Highland Heroes Awards, which could have filled The Kingsmills Hotel in Inverness three times over. More than any other awards ceremony, Highland Heroes celebrates ordinary people; but these are ordinary people who do extraordinary things for others. They are the unsung heroes of our communities – individuals who do their best to improve the lives of others and help friends, neighbours and strangers through difficult times. They are volunteers and charity fundraisers, and those who take steps to combat loneliness. Or they are public servants who go the extra mile in their jobs in health, education, the armed forces and the emergency services. In short, last Thursday’s Highland Heroes are people you have probably never heard of, who quietly go about doing what needs to be done to make our communities better places. 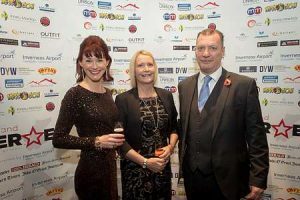 The awards were organised by SPP Media Group, the people behind the Inverness Courier, Ross-shire Journal and 13 other newspaper titles across the north of Scotland. You might have nominated someone for an award or voted for your favourites. Scores of nominations came in over the summer and a judging panel painstakingly whittled them down to the most deserving in each of twelve categories. 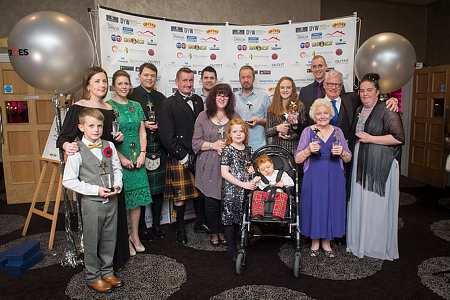 The shortlist was then put to a public vote, and of the twelve winners, one was chosen to be Overall Highland Hero 2018. That overall winner was Jean Munro, a tiny, formidable 85-year-old force for good from Inverness, who volunteers for over 40 hours each week. Truly inspiring. Last Thursday it was my job to tell our packed audience about the hardships some of the finalists had overcome and the brilliant, selfless acts of others. I had to try and condense into just a few sentences the enormous impact each individual has made on the lives of others. In just a few sentences it was hard to do them justice. We started with the children’s categories, recognising the bravery of the young people in our midst. All around us there are children who endure daily pain, frustrations and heartache, through incurable or life-limiting medical conditions, yet who smile through their adversity. Other sick children use the knowledge of their own conditions to raise awareness and to fund-raise. And many young people simply see what needs to be done and get on and do it. 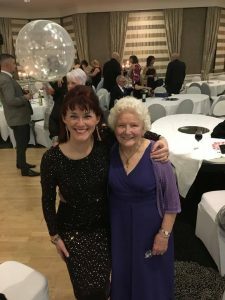 The adults had to wait till after dinner to be rewarded – teachers, doctors, firefighters, carers, public-servants, volunteers, fund-raisers, community champions, members of the armed forces and more. Each one of them going the extra mile, not for thanks or public affirmation, but simply because they thought it was the right thing to do. Seeing them come to the stage to accept their recognition, I was struck by how humbled each one was. To a man and woman, they protested they were just doing what anyone else would have done. Where do they get it from, this goodness? This selflessness? And can we bottle it and share it around? In a society where many are increasingly looking to blame others for every little wrong, and where there is an unseemly culture of entitlement, it was refreshing – and inspiring and humbling – to be in a room of people whose default setting is to give and to help. Thursday night showed us who the real leaders of our society are. Let’s try and stop thinking about what’s in it for us, and instead thinking about what we can do for those around us. If Jean’s still doing it at 85, and Kyle is out gritting his pavements at just 9, what’s your excuse? And what’s mine? This post first appeared in Seven Days, published by SPP and issued with The Inverness Courier, The Northern Scot and four other titles across the north of Scotland, week ended 16th November 2018. 5-star experiences need 5-star staff. Granny, what happened in Brexit? Nicky Marr: Event Host, Broadcaster, Writer.